These are boom times in Napa Valley. The United States’ foremost wine region is coming off three consecutive acclaimed vintages – 2012, 2013 and 2014. The US economy is gaining momentum, meaning less resistance to the sometimes very high prices charged by the top wineries. Its upwardly mobile customer base can generate sales of more than US$18 million in a single weekend at glitzy events such as the star-studded annual Auction Napa Valley. The region now sits confidently as one of the world’s foremost for fine wines, with land changing hands for up to US$300,000 per acre (about US$750,000 per hectare). There is also a renewed interest in terroir in the valley. Although Napa is only one-eighth the size of Bordeaux, it is a patchwork of contrasting sub-regions, from cool bayside Carneros in the south to the warm flatlands of Calistoga in the north. Several mountains rise up across Napa County and the character of wine from each is different. Just a decade ago, many high-end wines in Napa weren’t distinctive – the extreme ripeness of the grapes eliminated terroir traits and multi-vineyard blends were more prominent. Today, most of its best-regarded wines are single-vineyard expressions of Cabernet Sauvignon and the elegance of the Stags Leap District is clearly different from the rugged character of Howell Mountain. All of this means it’s an exciting time to be drinking Napa Valley wines. Not only are Napa Cabernets becoming better balanced and fresher in style, but the diversity of unique, distinctive expressions also provides consumers with a much wider selection of quality wines. 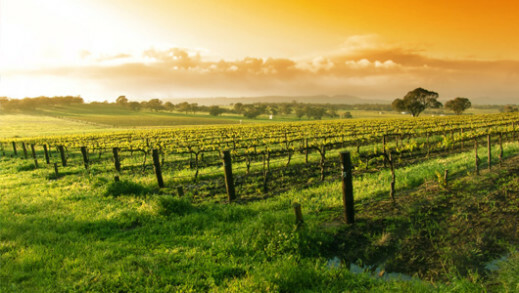 The only challenge is in convincing buyers outside of the US as to their merits – Napa’s wines are globally recognized, but tend to be locally consumed. Does Napa have to be big and bold to be beautiful? For the past few decades, the answer from most American critics would have been an unequivocal ‘yes’. But those who are fortunate enough to have tasted the 12 percent Cabernets from the 1970s by such esteemed names as Beaulieu Vineyard Georges de Latour, Diamond Creek and Robert Mondavi would argue that Napa Cabernets do not have to be about power and big flavor. So is there a natural tendency for Napa Cabernet, given its climate and location, to harness big flavor? The region has a wide variety of soils, but the climate is a challenge. Rain rarely falls during a summer growing season that is often hot, yet has cool nights. Morning fog covers parts of the region, but usually not those associated with Cabernet. Meanwhile, vineyard and winemaking decisions tend to concentrate grapes, with many producers waiting until they start drying out before harvesting – all of which contributes to the dense, modern style. The big Napa Cabs have thrived over the past two decades, with many producers garnering high ratings from critics along the way. Now though, balance is the key word and even terms such as ‘freshness’ are creeping into the winemaker’s vocabulary. Napa’s appellation system is still very much in its nascence. Unlike regions such as Burgundy, where terroir was studied for generations before rankings were accorded, the process in Napa has been subject to political pressure. It would seem elementary, for example, that Napa Valley be delineated between its mountain ranges, but several larger wineries wanted to include cheaper fruit from eastern valleys in their Napa cuvées. Ultimately, they won sway, and today the AVA is nearly as big as the entire county. DON’T IGNORE the challenging 2011 vintage, which produced wines of great elegance and beautiful aromatics. The weather was rainy and cool, but the best estates made very good, approachable wines through careful viticulture and strict yields. But the best reds to enjoy now are those with at least 10 years of bottle age; these are at their peak and prove that the top Napa wines benefit from cellaring. Being a valley, Napa is very much defined by its mountain ranges. There is Mayacamas to the west (Mount Veeder, Spring Mountain, Diamond Mountain), which is well regarded for its sturdy, long-lived Cabernets. Along the base of this range is a series of alluvial fans that collectively form Napa’s ‘benchland’ (Rutherford, Oakville, Stags Leap), widely considered to be among its best sites for Cabernet Sauvignon. To the east are the Vaca Mountains (Atlas Peak, Pritchard Hill, Howell Mountain), which produce wines of great structure and impressive ripeness and polish. Napa Valley is currently divided into 15 sub-appellations, although new AVAs (American Viticultural Areas) are introduced fairly regularly; here we highlight five. One of the most historic and widely known regions within Napa Valley, Rutherford contains much of the famous benchland, as well as some of its most lauded estates – Inglenook, Caymus, Quintessa and Staglin. This appellation is distinct in that it requires any vineyard claiming the designation to sit at or above 1,400 feet (about 420 meters). This places the vines above the fogline, making for a less pronounced diurnal swing but a longer, slower growing season. Top estates include Dunn, O’Shaughnessy, Cade and Abreu. The fruit from this newest sub-appellation, a relatively cool area, has long been a secret ingredient in many of Napa’s larger blends, used to increase acidity and add backbone. Now the secret is out, and many of the valley’s most exciting new wines hail exclusively from Coombsville. An iconic region within Napa Valley, the Stags Leap District is highly regarded for the supple texture of its wines, and the striking physical beauty of its landscape. As well as Stag’s Leap Wine Cellars, other notable producers include Shafer, Clos du Val and Chimney Rock. Home to some of Napa’s smallest and most idiosyncratic estates – as well as the more established Beringer and Newton – Spring Mountain’s craggy, dynamic terrain encourages diversity, and the region excels in everything from Cabernet Sauvignon to Chardonnay and Riesling. Blessed with a near-perfect growing season, the vintage is shaping up to be just about as good as it gets. Just after the 2012 harvest in Napa Valley, Bart Araujo, former owner of Araujo Estate and now of Accendo Cellars, told me the vintage might be the best for 20 years. “The weather was perfect and the fruit was excellent,” he said. Araujo was not getting carried away – his sentiments were echoed across the valley. A vintage will always be compared with what preceded it, of course, and 2012 came after the most challenging of vintages in Napa, the 2011, with its cool temperatures, incessant disease pressure and small volumes. 2012 had ideal bud break and good flowering followed by a long stretch of warm days and cool nights with little rain. What more can a winemaker ask for? Not only was 2012 a perfect growing season, but it also yielded an abundant crop. Philippe Bascaules, who has overseen a change in style at Inglenook with grapes picked earlier and fresher, was delighted. “Big crops in California are good because they dilute the concentration and produce better balanced wines,” he explains. “We want to be the reference for finesse and elegance in Napa.” Not all the changes he has implemented are viticultural though – Inglenook now pays pickers by the hour rather than by the ton, as Bascaules believes workers will be less inclined to rush and over-load bins, crushing grapes. Another French winemaker, Hélène Mingot of Araujo Estate, reduced the output of the Eisele Vineyard Cabernet Sauvignon from 2,000 cases to 1,700 in the abundant 2012 vintage, part of a long-term strategy for stricter selection and greater quality. The evidence is in the bottle – 2012 combines both elegance and intensity. Others employed vineyard techniques to keep quantity down. “The 2012 was a big crop,” says Tom Futo of Futo Wines. “We worked hard in the vineyard – taking off the shoulders, the large wings, and going through cluster by cluster.” The hard work paid off; Futo’s 2012 reds are fabulous. The 2012 arrives at a time when many Napa winemakers are looking for freshness and balance. Michael Silacci, winemaker at Opus One, says that since the 2009 vintage there has been a distinct shift. Whereas in the past, 60-80 percent of the grapes harvested were defined as having “ripe fruit”, with flavors leaning toward dark, black fruits, now only 40 to 60 percent ripe fruit is desired, with the rest made up of “fresh fruit”. Because of the generous volumes, there should be plenty of great wines at every price point. Overall, this is classic Napa at its very best. In the right hands, the wines strike that perfect balance of generosity and intensity of flavor; a firm backbone wrapped in plush, velvety tannins; and wonderful freshness and length.